26 Oct 12: I met one of my colleagues who has been doing research with 4 of the same SolarFocus swimming pool panels that I have been using in my Surya Sunbox. His research is finished and the panels are redundant. It is very tempting to use those instead of the PVT panels, and there is enough roof surface to enlarge the area from the present 4 sqm to 8 sqm ! 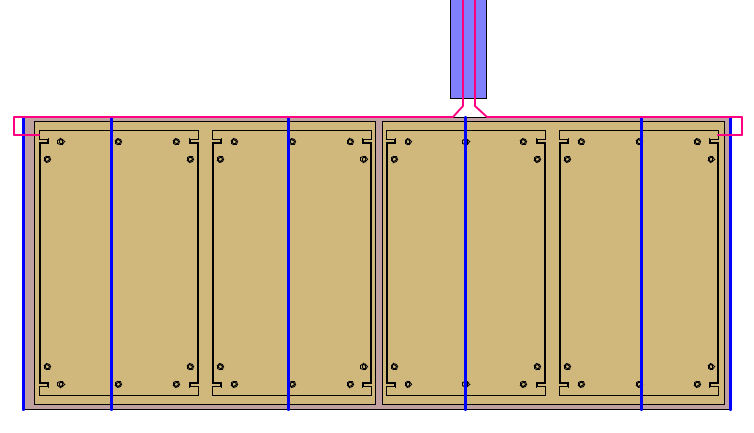 I could use it to amplify the present solar capture, but more usefully, I could also use it to experiment with the design issues of having a construction of a Sunbox on a sloping roof. It would need ALL of the roof, thus covering up all that beautifully placed Aluminium.... Oh well! I will have to ring the company who are presently looking after them to see if I can collect them. As the panels were donated, there seems little reason for them not to let them be used! 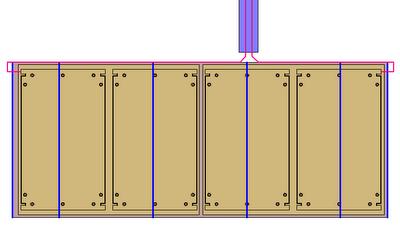 In the drawing, the blue lines are the raised seams that the mounting rails would fix to. Swimming pool panels? How they works? Kindly give some details. Great work. Thanks for your time and another brilliant article.